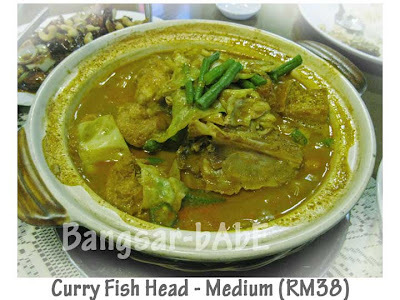 Mum was craving for curry fish head and she only likes the curry from Fusion, Damansara Utama. So rif took us (mum, dad and I) there for lunch yesterday. 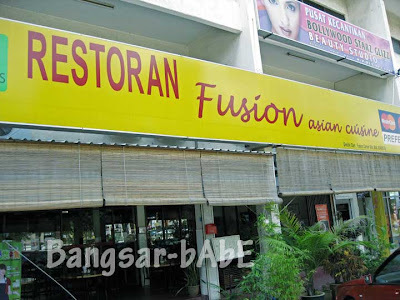 Fusion serves “tai chow” dishes and also ala-carte noodles/rice. 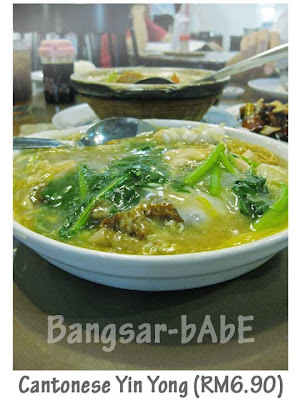 We ordered a medium fish head curry, claypot tofu, “kung po” chicken and a serving of Cantonese yin yong. 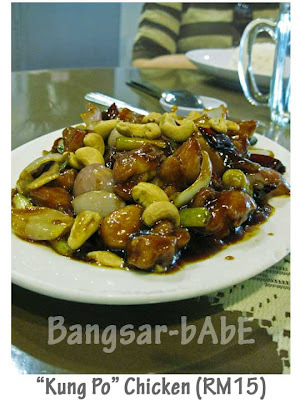 The “kung po” chicken came with dried chili, cashew nuts and succulent chicken pieces. Not bad, though I would have preferred it spicier and stickier. 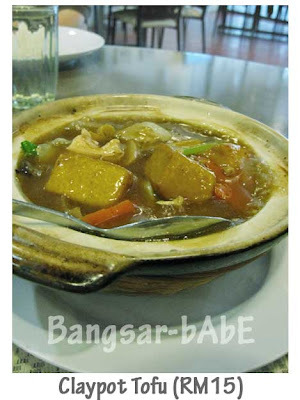 I liked the claypot tofu, especially because they used egg tofu (best!). The gravy was of just the right thickness and laden with mushrooms, celery, carrots and chicken slices. The curry fish head tasted pretty good. I have never been big on fish heads (still am not), but mum really enjoyed every bit of it. The curry was creamy yet not too thick, so it wasn’t cloying. The fish was fresh and the vegetables (okra, long beans, cabbage) were cooked just right. It wasn’t overly spicy, which was good as my parents are chili wusses. The Cantonese yin yong was not bad, but nothing spectacular. The eggy gravy was fragrant and the kuay teow had wok hei. But the chicken on the other hand lacked flavour, probably because it wasn’t marinated. Lunch cost RM 81.70 inclusive of drinks and rice (no tax and service charge). Not bad for a decent lunch in and air-conditioned place. They also do a mean prawn sambal which we didn’t order as we were pretty stuffed. Verdict: Try their curry fish head and prawn sambal.